Learn more about Violet Strange from Jeff Muhs. Jeff created the original painting this work is based on by pouring, smearing and dripping paint. 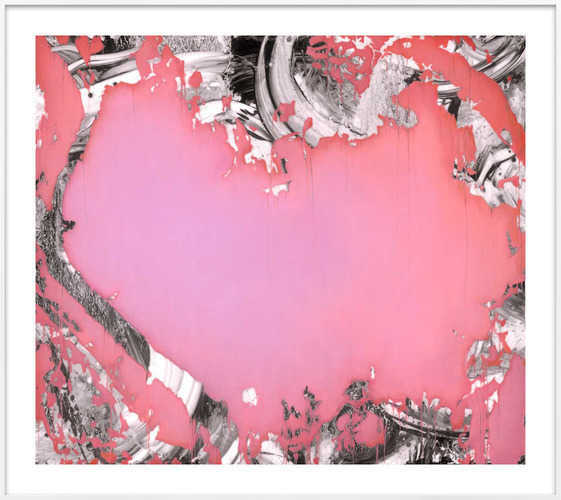 While harkening back to iconic action paintings by Jackson Pollock and other modern masters, Jeff's piece is also feels extremely of-the-moment, especially the hot pink hue that dominates the center of the work.